MONTFAUCON resonates with historic tales of violence and upheaval, exploring the implications and consequences of emotional turmoil, aggression and fear. Renaissance – which features mixing and mastering from death metal veteran Dan Swanö (Edge of Sanity, Bloodbath, Katatonia) – is a majestic, eclectic and musically diverse portrait of darkness, desperation and barbarism that presents a new perspective on the ever-shifting landscape of extreme metal. 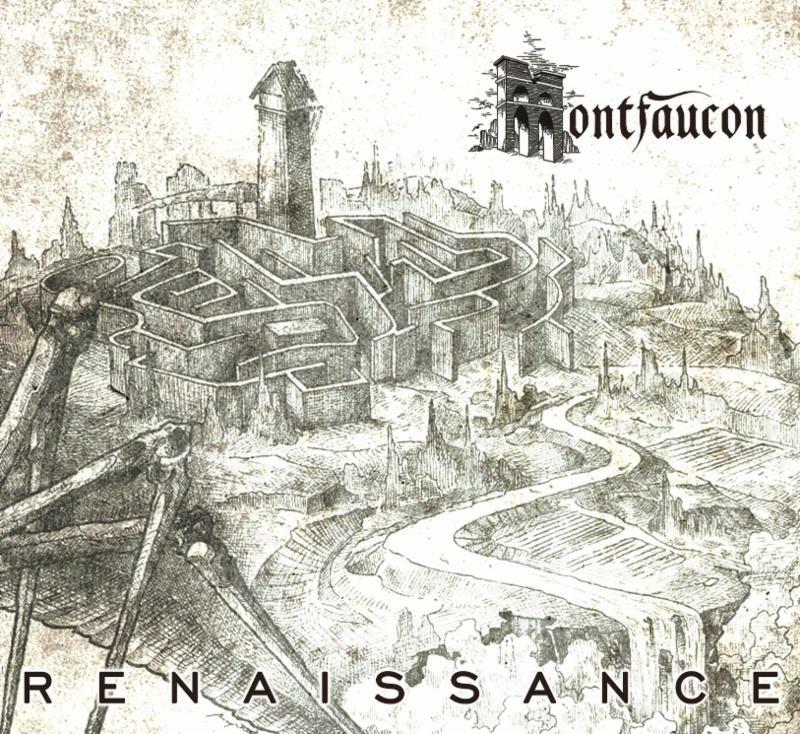 MONTFAUCON achieves a sound that’s at once brutal and beautiful, alternately direct and dizzying. Renaissance draws from black metal, progressive doom and symphonic metal influences, accented by Michel’s complex, haunting piano melodies. From one song to the next, there are hints of well-known acts such as Satyricon, Darkthone, Cradle of Filth, Death, Opeth and Pink Floyd, as well as traces of more obscure artists, including Lux Occulta, Dominion and My Dying Bride. It’s incredible that Valentin and Michel have crafted such diverse, high-impact and intensely melodic songs from opposite parts of the world (Valentin resides in the San Francisco Bay Area, while Michel continues to reside in their native Uzbekestan). What’s even more impressive is that as forward-thinking as the songs on Renaissance are, the skeletons were written years ago, and early versions of some of the tracks were played on metal radio in Uzbekistan, and were well received by the region’s loyal underground scene. When it was time for Valentin to start putting Renaissance together back in his home studio in San Francisco, he struggled at first to find the right gear and learn how to use it. Since he didn’t have much experience with home recording, he experienced several setbacks. To make sure the songs sounded as good on the digital files as they did when he played them in his living room, Valentin hired The Faceless guitarist Michael Keene to help him assemble a rig that would yield a high quality recording. For metal fans who are excited to hear more, MONTFAUCON are already working on five or six new death/prog songs that will leave listeners speechless. Until then, Renaissance should be inspiring and enthralling enough to keep listeners completely satisfied.